Surfers Paradise is known throughout Australia as the glitzy seaside party playground that’s put the Gold Coast on the Map. Though its reputation for beautiful beaches and wild nightlife is certainly earned, there’s much more to do than party all night and laze in the sand all day. Check out our list for ten exciting ways to explore this hotspot suburb. First-time visitors taking a stroll through any of Surfers Paradise’s three main streets might be surprised by the huge, duck-shaped vehicles rolling past. These amphibious-style military vehicles are the vessels used by Duck Tours to take groups of travelers through the heart of Surfers Paradise, and then out onto the Gold Coast Broadwater. This is a great way to take in the whole neighborhood accompanied by commentary and surprising trivia, and elevated angle of the vehicles provides a unique view of the Broadwater. The various operators of Duck Tours (such as AquaDuck, Quack ‘r’ Duck and Super Duck) are family-friendly, and the staff is especially dedicated to keeping small kids entertained throughout the tour. The driver may even let your child briefly hold the wheel while on the water! Infinity is a spectacular exercise in visual trickery and optical illusions. Located in the Chevron Renaissance boutique shopping area, this installation offers guests a 30-minute journey through a futuristic funhouse, divided up into 20 surreal, maze-like and highly interactive ‘worlds of wonder’. Each zone is packed with incredible special effects, atmospheric sound fields, hands-on exhibits, and even ‘imaginary bridges’ that give the sensation of walking through space. elsewhere Bar is a cultural sanctuary on bustling Cavill Avenue, hewn from a disused storage room in 2003. An extraordinarily versatile venue, they host a regular line-up of live music covering an eclectic range of musical genres with both artists and DJs performing in tandem or collaborating on sets. The décor and interior design are constantly evolving and has expanded in recent years to include a ‘pennylane’ alfresco area, where guests can socialize under the stars. This bar’s mission is to tirelessly support local designers, artists, and universities, and this passion earned elsewhere the title of 2007 Best Music Offering in Australia. This creative streak is evident behind the bar as well: try one of the bar team’s original creations, such as the espresso martini and the refreshing apricot gin fizz. 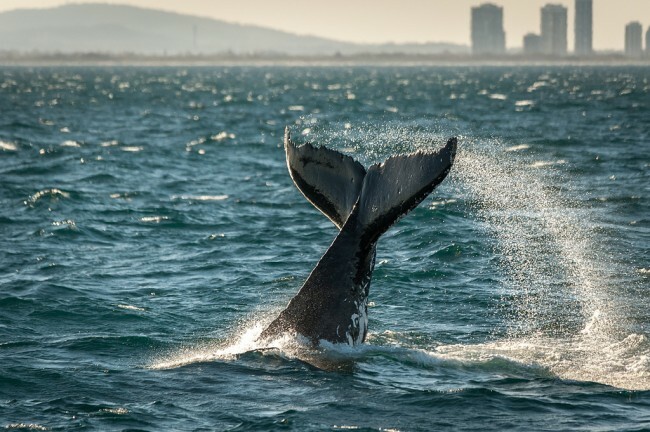 One of Surfers Paradise’s most unique activities is its whale watching cruises, which give travelers a chance to witness the majestic spectacle of a Humpback Whale breach. The humpback whale’s annual migratory period from the months of June to the beginning of November is the peak season for whale watching tours, and the numerous local tour operators take passengers out in specially-designed vessels that provide uninterrupted panoramic views on every deck. Group sizes are strictly controlled to prevent any overcrowding, so you’ll never have to jostle or crane your neck for a glimpse of these stunning creatures as they breach right alongside the boat. Most tour operators divide their trips into morning and afternoon sessions to suit families and late risers alike. You’ll find the Currumbin Wildlife Sanctuary in a large bushland park just 18 kilometers south of Surfers Paradise. This nature reserve spans 27 hectares of lush eucalyptus and rainforest and serves as a home to kangaroos, emus, Tasmanian devils, wombats, koalas, crocodiles, and many other native and international species. The Sanctuary puts on daily shows and demonstrations and offers several hands-on opportunities for guests to interact with the wildlife. The Sanctuary also boasts an onsite wildlife hospital, where visitors can see vets working, and experience the depth of care that Currumbin Wildlife Sanctuary has for the welfare of the Australia’s native animal population. It would be completely remiss to visit Surfers Paradise and not even attempt to visit this area’s namesake beach. In spite of Surfers’ many attractions and activities, its golden beaches remain the most popular destination for tourists and locals alike. To accommodate this constant foot traffic, the foreshore area has recently undergone a multi-million dollar facelift to offer visitors new public showers, toilets, seats, and more, making it much easier to rinse off and relax throughout your day here. 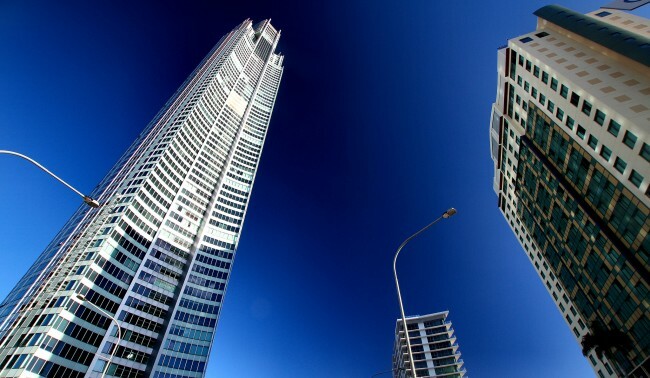 The beach is within easy walking distance of most Surfers Paradise accommodations and high-end dining cafes and restaurants. While the term ‘Surfers Paradise’ is a bit of a misnomer for pro-level surfers seeking a massive wave, the surf conditions (which hover around 3-4’ breaks throughout the year) are ideally suited to beginners and visitors, with plenty of surf schools dotted along the beach to help you learn. The Surf Australia accredited surf school Go Ride A Wave is one of the strongest options for would-be surfers on account of its 25 years of experience and large range of beginners’ equipment. The 2-hour lessons provide all the relevant surf safety information, gear and instructions to suit all skill levels. Trinket-hunters will find plenty of treasures at the Surfers Paradise Beachfront Markets. Every Wednesday, Friday and Sunday night, more than 120 market stalls are erected along the coastal stretch. While live entertainers provide a background soundtrack, after-dinner wanderers can take their pick from a variety of premium products, including clothing, jewelry, accessories, artwork, cosmetics, and homewares. The friendly stallholders are more than happy to chat about their artisan processes and crafting styles, lending a personal touch to every purchase you take home. Ride one of the world’s fastest elevators to the 77th floor of the Q1 Building, the World’s Tallest Residential Building, for a sleek and chic watering hole – the Skypoint Observation Deck. The sleek, refined venue is all glass and silver with state-of-the-art furnishings, and a smart dress code to match. The ticket entry cost of $20 is high compared to other Surfers Paradise drinking establishments, particularly when the venue closes at a respectable 12am, but the refined atmosphere, stunning views, and weekend DJ and live music entertainment make for a compelling package. Urban Paradise is a new not-for-profit gallery space founded by French artist Frederic Berjot, who wanted to give emerging Gold Coast artists the opportunity to not only display their work, but also ‘to begin to understand the business of art.’ This refreshing, constructive approach gives up-and-coming artists exposure, while also working to equip newcomers to the industry with practical business sense to match and support their creative skills. The gallery also displays excellent work from established artists throughout the area, making Urban Paradise a must-see for any supporter of the arts in Gold Coast, and particularly for art-lovers interested in discovering and fostering new artistic talent in the area.